It’s only February, but Shelf has done the deal of the year so far. And China gets some relief for their stranded jackup headache, writes David Carter Shinn from Bassoe Offshore. Shelf announced yesterday that it has entered into an agreement with China Merchants to buy two newbuild CJ46 jackups for $87 million and bareboat two additional CJ46 jackups. To fund this transaction, Shelf will issue new shares to affiliates of the shipyard at nearly a 60% premium to yesterday’s share price. So instead of any cash outlays, Shelf will give 19.4% of its equity to the affiliates. For the two bareboat rigs, Shelf will pay an average of $15,000 per day over three years (likely to be escalating from year 1). The bareboated rigs have escalating annual purchase options for $90 million, $92 million, and $95 million. If Noble’s acquisition of the two PaxOcean CJ46s for $93.75 and $83.75 million was great, Shelf’s is better. The headline price for Shelf is marginally lower than the average Noble paid, and they’ve issued shares at a massive premium to fund this cashless transaction. If you look at this deal based on the share price premium, it implies a price per rig for current shareholders of less than $60 million. 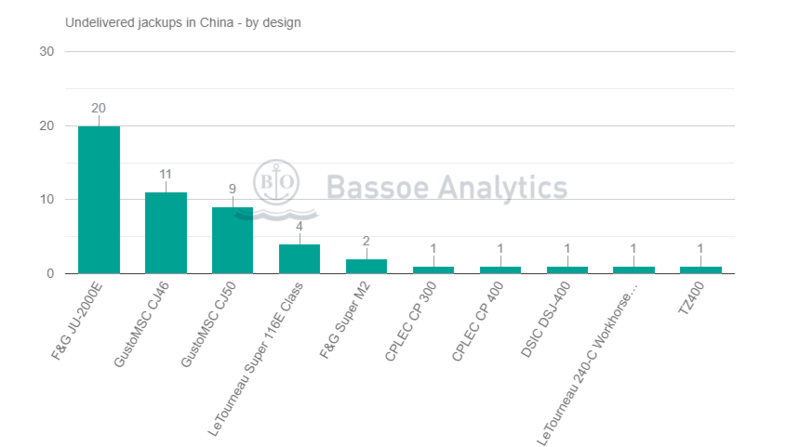 Last year we gave some of our thoughts on what China was going to do with all their rigs, and since then, values have come down even more. Bassoe Analytics currently values a delivered, ready to work newbuild CJ46 at $102–112 million. Depending on the reactivation costs and any necessary upgrades, transaction prices should be in the $85–95 million range which is in line with Shelf’s deal (excluding the share price premium for current shareholders). For higher spec rigs, like the JU2000Es and CJ50s, we see delivered newbuild values at around $132–142 million which means transaction prices – depending on financing arrangements – should be in the $110–125 range. From here, we think more transactions are coming as Chinese shipyards’ commercial strategies become more pragmatic and collaborative. They’re not necessarily capitulating on pricing, but after four years, they’re (understandably) tired of dealing with stranded jackups. 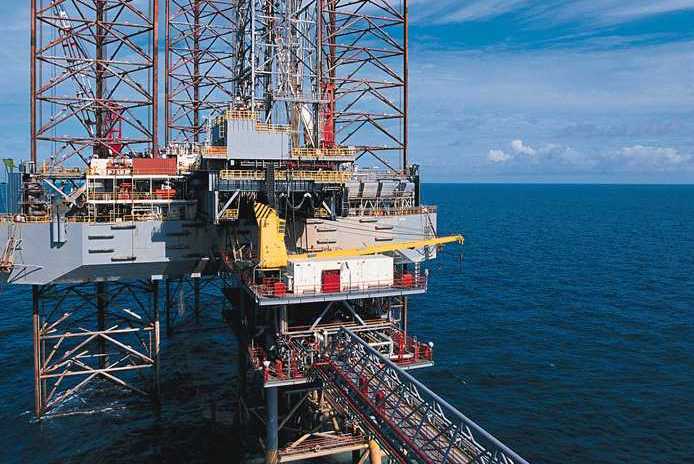 At the same time, rig contractors see strengthening demand in the jackup market, especially in the Middle East and Southeast Asia, and want to seize opportunities to renew their fleets while they can. So what stranded rigs are left in China? 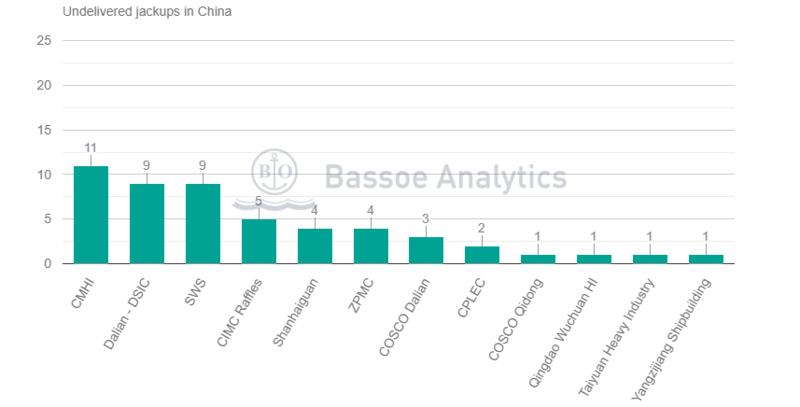 Bassoe Analytics shows 51 jackups under construction in China. Taking out the four Shelf rigs, we get to 47 rigs. China Merchants has 11 stranded rigs which will now become seven: four CJ46s and three CJ50s. And of the 11 CJ46s among all Chinese yards, seven are left. We consider the CJ46s, CJ50s, and JU2000Es to be in demand for international owners, but not all of them are ready for delivery or are officially available (as some of the original owners still control them). The other designs are more likely to be offloaded to Chinese owners or will perhaps never be delivered. Find the full list of undelivered rigs in China by yard here and by design here.